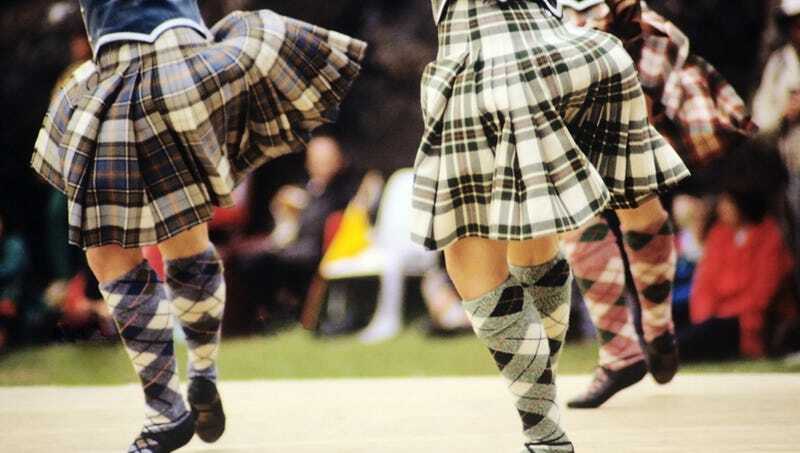 In addition to keeping their scrotum at a cooler temperature, which research proves can boost sperm count, kilt wearers enjoy psychological benefits, such as feeling more masculine and proud and enjoying positive attention from sexual admirers, reported LiveScience on April 19. The research, based on analysis of prior studies, was published in the latest issue of the Scottish Medical Journal. This is all true — especially the positive sexual attention. Who doesn't want to go home with a handsome Scot and then nine months later, pop out a miniature kilted lad or lass who does a jig all the way to the pub? Nobody, that's who.